7/16" UNF thread 32mm long. 15.4mm hole in eyebolt. 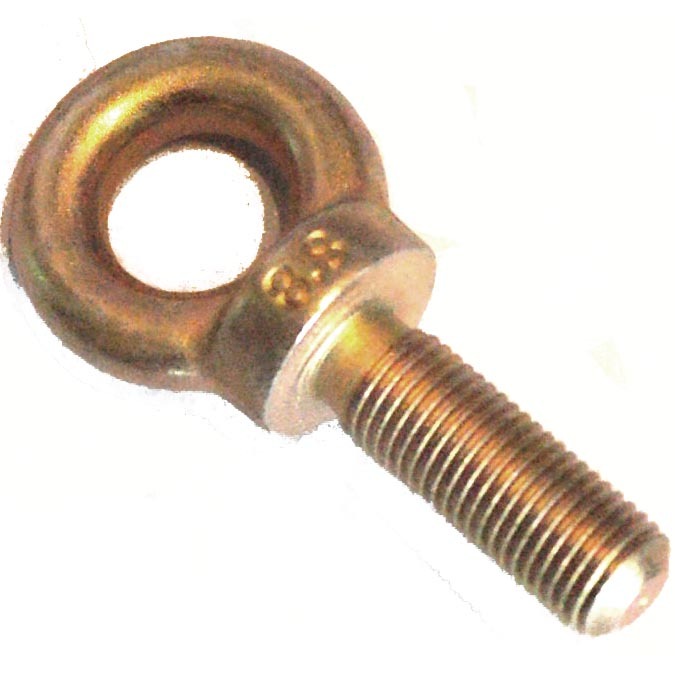 Strong, forged eyebolt. Heavy zinc plating. 300mm buckle stalk. Seat belt overall length 2.9m. Total belt length 1.1 mtrs. ‘E’ marked. Two-button release on 150mm stalk. Adjustable from 60cm to 210cm total length. 150mm Buckle. Seatbelt overall length 2.9m. 300mm buckle. Seatbelt overall length 2.2m. 7/16" UNF thread 22mm long. 15.4mm hole in eyebolt. Shoulder straps maximum length 165cm. Waist straps maximum length 60cm (each side). LAP STRAPS adjustable from 230mm to 600mm (9 in to 23 in) each. CE marked. 10mm Bolt-in fixing. Single button release. Shoulder straps maximum length 95cm. 7/16" UNF thread 48mm long. 15mm hole in eyebolt.